Publication details: Book. 2009. xvi and 159 pages. Publication date: 2009-06-29. 3 tables and 27 figures of which 1 in full color. 16x24 cm (6.3x9.4 in). This is the sixth World Glaucoma Association Consensus. The relationship between ocular blood flow and glaucoma has been discussed for more than a century, and still it uniformly fuels debates at glaucoma meetings throughout the world. Clearly, the results of this report will have broad and significant impact on glaucoma research and clinical practice. The global faculty, consisting of leading authorities on the scientific and clinical aspects of ocular blood flow, have met in Fort Lauderdale on May 2, 2009 to discuss the reports and refine the consensus statements. Obtaining consensus on the relationship of blood flow to glaucoma was a daunting task. So much has been studied and written, but how much do we really know? As with the previous WGA consensuses, the Glaucoma Blood Flow consensus is based on the published literature and expert opinion. Although consensus does not replace and is not a surrogate for scientific investigation, it does provide considerable value, especially when the desired evidence is lacking. The goal of this consensus was to establish a foundation for ocular blood flow research of glaucoma and the best practice for its testing in clinical practice. Identification of those areas for which we have little evidence and, therefore, need additional research was a high priority. We hope that this consensus will serve as a benchmark of our understanding, and that it will be revised and improved with the emergence of new evidence. 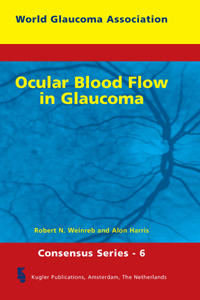 For the World Glaucoma Association Consensus VI, our topic was Blood Flow in Glaucoma. Global experts were assembled beginning in November 2008 to participate in the Project Forum E-Room, a unique aspect to facilitate discussion of each of the consensus meetings. With each of the prior meetings, arriving at the consensus was circuitous and filled with compromises, and this meeting had a similar path. Nevertheless, this was an excellent opportunity to critically assess the evidence relating to the relationship between glaucoma and ocular blood flow and develop consensus statements. The meeting, as with previous ones, was stimulating, educational, thought-provoking, and enjoyable for all participants and attendees. What is the evidence supporting a role for ocular blood flow in glaucoma patients? What is the impact of medication and other modifiable factors on ocular blood flow?